We grab a few days away over the school break, and travel to the coast of Portugal and then south to Lisbon. I've been given a set of four warm grey double-pointed Promarker pens, and am still not sure how to use them to best effect. This view of the square at Rossio from across the road from our hotel one evening (while the others slept, read and revised) is a case of trying to find out how I can use them with the black pens that go everywhere with me. That feeling of now knowing quite what you're doing can be an enjoyable one. Which pen do I reach for when I put another down? What makes things go forward and back? When to use the chisel point or the bullet point? How much tonal range is needed? Which restaurant are we eating at tonight? 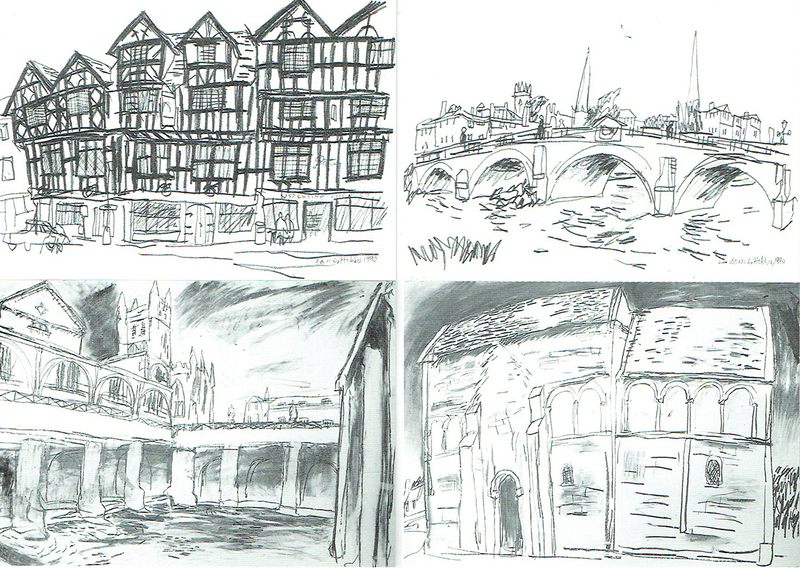 Who's in Sketch Your World? Fernando Abadía, Adebanji Alade, Michael Anderson, Adolfo Arranz, Seoungjun Baek, Anthony Banks, Josephine Birch, Julie Bolus, Dave Black, George Butler, Gabriel Campanario, Emma Carlisle, Simon Carter, Matthew Cencich, Angela Charlton, Thomas Corrie, Daniloz, Liza Dimbleby, Juliet Docherty, Trudi Esberger, Alexandre Esgaio, Anna-Louise Felstead, Ken Foster, Marina Grechanik, Lachlan Goudie, Rydal Hanbury, Craig Harper, Virginia Hein, Miguel Herranz, James Hobbs, Carol Hsiung, Yanuar Ikhsan, Amer Ismail, Barry Jackson, Caroline Johnson, Asuka Kagawa, Brendan Kelly, Merlyna Lim, Maria Lopes, Joan Mas, Don McNulty, Mario Minichiello, Colin Moore, Max Naylor, Patrick Osborne, Chichi Parish, Alex Raventós, Pippa Ridley, Simone Ridyard, Marjut Rimminen, Fraser Scarfe, Rolf Schröter, Inma Serrano, Craig Shannon, Suhita Shirodkar, Poppy Skelley, Naomi Strauss, Paul Sutliff, Katherine Tyrrell, Lis Watkins, Steve Wilkin, Daniel Zalkus, Toni Zhao, along with photographs from Fran Fernández and Liz Steel. Thanks to people for their kind messages and reviews of Sketch Your World, now out in bookshops. It's available at the usual online stores and high street bookshops, including Waterstones and Barnes & Noble. 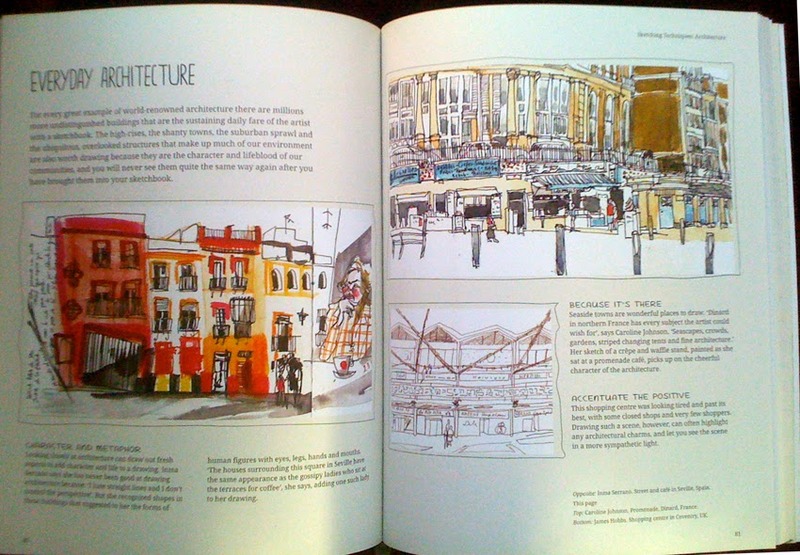 Here are drawings by Inma Serrano and Caroline Johnson (and a smaller one by me) included in the book. I'll be posting more about the 60 different artists whose work is included in the book over the coming weeks. You can find out more about the book at www.facebook.com/sketchyourworld or follow me on Twitter @jameshobbsart.